Have you heard of service dogs before? If so, have you ever seen them in action? Perhaps, a blue vested dog leading his blind owner into a restaurant or helping his owner climb up the stairs? Or perhaps, are you considering getting one for yourself or a family member? 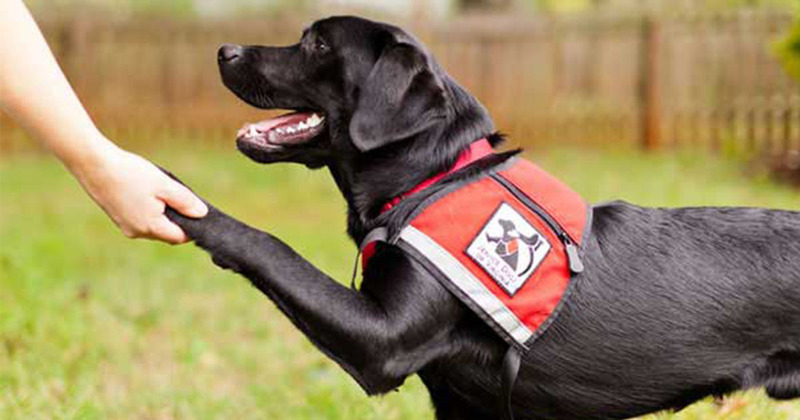 If you are eager to learn more about service dogs, you have come to the right place! This article will aim to explain everything about service dogs in a detailed and helpful manner. Many people confuse service dogs with therapy dogs. 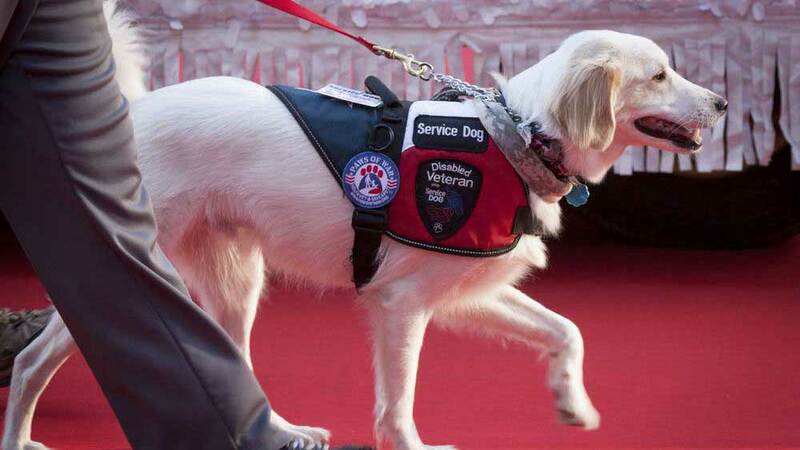 Both service dogs and therapy dogs receive extensive training but have a completely different type of job. 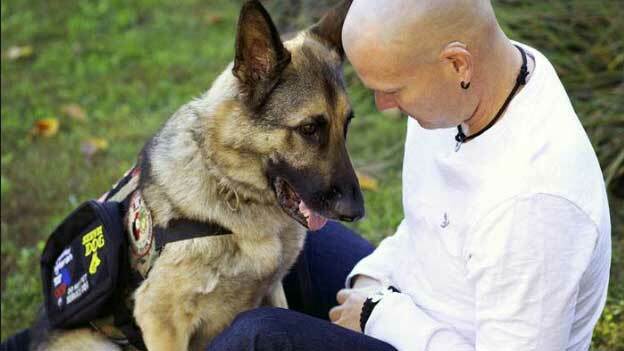 Service dogs are trained to provide services for people with disabilities, so you don’t see them as a pet. Petting service dogs is not recommended when they are on duty. On the contrary, therapy dogs provide psychological or physiological support to individuals besides their owners, which means you can pet them if you want to. Unlike service dogs, therapy dogs are encouraged to socialise and interact with people when they are on duty. 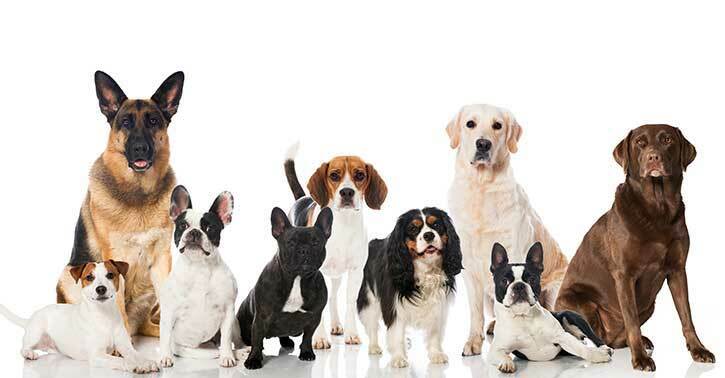 Which dog breed can become a service dog? Basically, any dog breed can become a service dog as long as it fulfills the requirements. 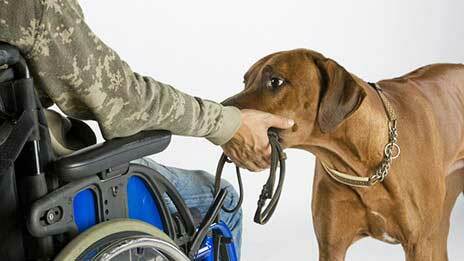 Desirable traits of a service dog include good temperament, high trainability and good health. Golden Retrievers, Labradors and German shepherds are the most popular and successful breeds for service dogs as they are smart, have good temperament and easy to train. However, many unusual breeds including Pugs, Chihuahua, Corgi, Mastiffs and others could be trained to become service dogs nowadays. 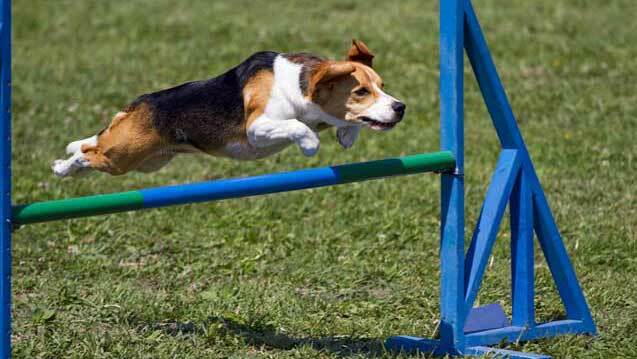 For example, small breeds like Chihuahua can’t really help their owners with physically demanding tasks. Instead, they could help out with something like medical alert services. Does every service dog wear a vest and ID? Well, most service dogs wear a blue vest with an ID attached for easy verification. However, in the US, an owner can choose to not equip a vest upon their service dog. Some people do this as they believe the vest will cause them to be labelled as disabled. Sadly, this can also be abused by people for their own reasons. People can simply bring their dogs around and claim that they are trained service dogs. This is obviously illegal, but it is proving to be very difficult to identify the real from the fakes. People can easily create various fake IDs and let their dogs wear fake service dog vests. Who is eligible for a service dog? As mentioned above, an individual with a disability is eligible for a service dog. However, this issue is complicated as there are many definitions of disability in different laws. A service dog usually take two years of training before they can become a service dog. 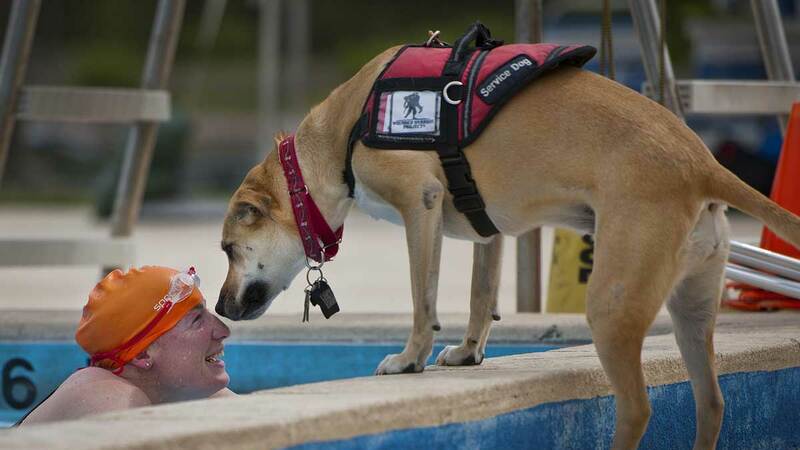 They can be trained by a service dog organization, personal trainer or individuals with disabilities themselves. In general, the cost to train a service dog that is capable of performing basic tasks mostly varies from $5,000 to $7,000. The cost might even go up to $20,000 if more extensive training is included. Can a service dog follow it's owner into public premises? Absolutely! However, a business may have the right to remove the service dog from the premises if the service dog is causing disruption around the premises, or if the dog is sick. This only applies to the dog, the handler cannot get kicked out of the premises due to the behavior of the dog. The business must allow the handler to finish whatever his business was at the premise. How about airplanes? Are service dogs allowed on board? The answer to this question may differ when it comes to different countries. It is true that the US federal law grants almost unlimited access to service dogs in public premises. But when it comes to air travel, laws are defined by a seperate legislation called the ACAA (Air Carrier Access Act). Luckily, the ACAA does allow service dogs on board an airplane as long as the owner is genuinely disabled and needs to rely on his/her service dog. The service dog travels for free in the cabin, and the owner is allowed to bring along all required equipment for the dog. Of course, there are certain rules and regulations regardinng service dogs on the plane. First and foremost, service dogs are not allowed to block or obstruct aisles on the plane. They are obviously not allowed to sit on any seat, and both the owner and the dog are not to be seated near the emergency exit. Also, both the owner and the dog must go through a metal detector before the flight. Both will be examined if one triggers the alarm. If the metal detector test goes well, the dog will be examined by a TSA officer. TSA officers have no right to undress the dog or seperate him from the owner. As mentioned before, if you are flying to a location outside of the US, please check their rules before bringing a service dog along. So, that is all the basic information that you need to know about service dogs! If you would like to share any experiences with a service dogs or you wish to point something out, do not hesitate to leave a comment below! Previous Article Your lucky guide to the year of the dog!